Please read our terms and conditions carefully. In completing and submitting the booking form, you agree to be bound by these conditions, which constitute the agreement between Adventure Hub Nepal (AHN) and you. These conditions apply to the exclusion of any other terms or conditions unless they are set out in the booking form or are otherwise agreed to in writing by AHN. Your booking is with Adventure Hub Nepal (AHN), 10 Berkshire Street Doreen, 3754, Victoria, Australia. To confirm your reservation AHN requires a deposit of 50% of the total trip cost at the time of booking to secure your reservation. The deposit is non-refundable, unless the trip is cancelled by AHN. We therefore recommend that you take out travel insurance. Full payment is required 60 days prior to departure date. AHN accept various methods of payment, including cash, cheque, visa, master card, PayPal, TransferWise (if you have account in local currency in British Pounds, Euro or US Dollar) and direct bank transfer. If you are paying by any card or via PayPal account, you will incur a bank fee surcharge of 1.8% in addition to the amount for your trip. If the remaining balance is not received 60 days before the trip departure date, AHN reserves the right to cancel your booking and your deposit will be forfeited, unless any delay in your payment has been agreed by AHN. Any late reservations made and accepted after the date for payment of the balance due (that is, after 60 days prior to departure date) the reservation may be secured by immediate payment of the deposit (50%) and the balance not later than 30 days after acceptance of your booking. In all adventure activities, circumstances can arise which force us to alter dates, trip duration, transport schedules, or hotel accommodation before a trip starts. We will inform you of any such changes as soon as we know of them. After assessing the conditions expected to be encountered on the trip, and/or the capabilities of the trip participants, our Trip Leaders may decide to alter any proposed plan. For example the proposed river(s), river section or trekking route if in the sole discretion of AHN, is believed to have become unsuitable and AHN believes that to continue with the published itinerary, or any subsequently agreed alternative, would place anyone at undue risk, then in such circumstances, AHN may alter any entry or exit point of any river or trekking point with a view to continuing the trip as near as reasonably possible to the published itinerary. AHN accepts no responsibility for and shall not be liable to any client for the consequences of strikes, industrial action, riots, sickness, quarantine, government intervention, weather conditions, or any other event, which may impede, or lead to the cancellation of the proposed activities. In the event of civil unrest in a region, we undertake to inform participants of the situation as soon as we have any knowledge of it. If Adventure Hub Nepal is prevented (directly or indirectly) from performing any of its obligations under this agreement by reason of act of God, strikes, trade disputes, breakdowns, interruption of transport, government or political action or omissions of a third party, or for any other cause whatsoever outside of AHN’s reasonable control, AHN will be under no liability whatsoever to you and may, at its option, by written notice to you either cancel the tour or take any other action as specified in this agreement or otherwise..
AHN has no obligation to provide a refund of any trip costs incurred by you in the event that a trip is re-scheduled, modified or cancelled for any of the reasons described above under the heading “Amendments and Trip Cancellations”, or below under the heading “Force Majeure”. However, AHN will provide a full refund in the event that a trip is cancelled by AHN because there are insufficient numbers booked to participate. AHN will not refund any money you have already paid other than in the circumstances described in the paragraph above. However, where possible, AHN may arrange for you to join another trip at a discounted cost. If this were to occur, the trip will need to be paid for and participated in, in the same year as the original booked trip. Adventure Hub Nepal will not refund any money you have already paid in whatever circumstance but AHN might be able to allow you to join another trip at half price. The trip will need to be paid for and participated in the same year as the original booked trip. By making your booking with AHN, you acknowledge and agree that you have read and understood these Terms and Conditions, and agree to abide by them. AHN is committed to providing the best service which will give you a once in a life time experience on our trips. We take our responsibilities very seriously and aim to make your journey very smooth & pleasant. Please understand however, that the entire program in Nepal, Tibet and Bhutan is conducted strictly under the relevant country’s laws, rules and regulations. Therefore, AHN and its related partner organizations shall not be responsible for any changes in the itinerary due to unavoidable circumstance such as government restriction, landslide, road blockage, flood, snow, political unrest, cancellation of flight, delay, sickness or accident. Any extra cost incurred as a result of any of the above shall be borne by the clients. • this agreement constitutes the whole of the contract between you as the client and AHN and you may not rely on any representations concerning the tour made by AHN which are not contained in these conditions. • you have submitted your booking for the tour after giving due consideration to relevant travel information including, without limitation, any relevant information or advice given by the governments of your country, and that it is your responsibility to acquaint yourself that information or advice. AHN accepts participants of any age over 12 years. We may also accept participants under 12 years of age, but if we do so, it would only be under special circumstances agreed between AHN and the parents or guardian of the participant. If you have any dietary requirements please make sure you tell the AHN staff and complete the dietary box clearly so we understand your requirements, which we will take all reasonable steps to meet. Good health, mental and physical fitness are required on the all AHN Expeditions. If you have any medical conditions such as allergies (including food allergies), diabetes, epilepsy, asthma, heart conditions or are pregnant, you must advise us. We recommend that everyone participating in a trip with AHN have a full health check with your local GP regarding your health and fitness before you travel. It’s the client’s responsibility to notify AHN of any pre-existing medical condition and/or disability which may result in an increase in the risk of the activity being under taken. Vaccinations may be required for any trip. Please consult your doctor or a travel health specialist. The choice of vaccinations can depend on a range of issues including the specific area of the trip, your personal health and what vaccines you have had before. Please check with http://www.traveldoctor.com.au or your GP. We take this very seriously, which is why we have one of the best safety records on our trips. We have 20 years’ experience working in the field and ten years running trips to Nepal and our satisfaction and safety records on Rafting, kayaking, Trekking, Mountain Biking, Peak Climbing trips are of the very highest standard. Our itineraries always take a safety-first approach to all participant’s activities. Our leaders are very highly experienced in rivers and mountain guiding. You must follow their instructions very carefully. 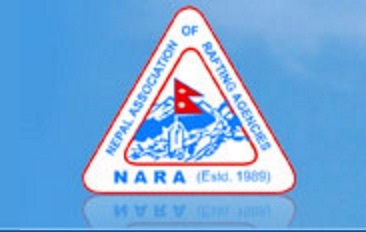 • in connection with any optional activities which you may undertake during the course of your tour but which do not comprise part of your tour itinerary and you accept that any assistance given to you by AHN representatives in arranging such optional activities will not render the Adventure Hub Nepal representatives liable to you in any way or form. Visa for Bhutan and Tibet please check your home country consulate or embassy of those countries. AHN will be very happy to help and provide as much information as we can to assist you with your applications.